FRANKFURT (Reuters) -- German supplier Continental is looking for an acquisition in the industrial sector, possibly in Asia, as it seeks to reduce its dependence on volatile auto markets, the company's finance chief told a German newspaper. The company could spend up to 2 billion euros ($2.54 billion), Chief Financial Officer Wolfgang Schaefer told daily Boersen-Zeitung in an interview published on Monday. "Even after the Veyance takeover we could shoulder a purchase of 1 billion to 2 billion euros well. Our [credit] rating wouldn't be impacted," Schaefer was quoted as saying in the report. The company bought U.S.-based Veyance Technologies, which makes industrial hoses and belts, for 1.4 billion euros this year. 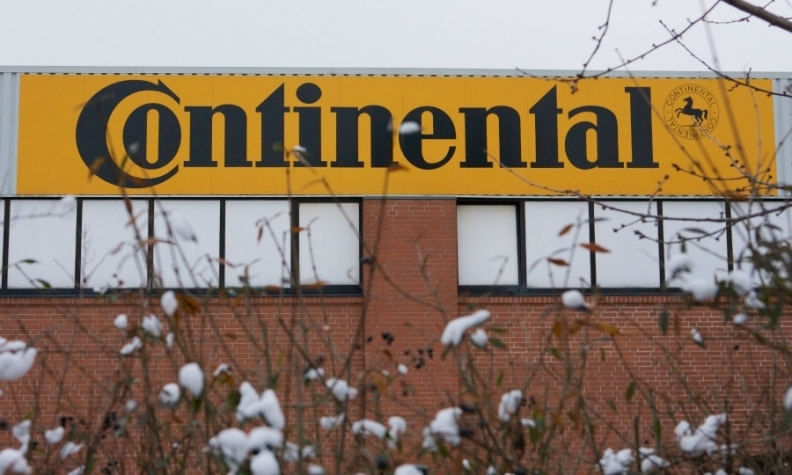 Continental aims to boost the proportion of sales it generates with industrial businesses to 40 percent in the long term from close to 30 percent now to reduce its dependence on volatile car markets, particularly in Europe, where the company makes half of its sales. Schaefer said an acquisition would be "very helpful" in reaching that target because the industrial businesses grow more slowly than Continental's auto-related operations and are therefore more stable. Continental is particularly interested in Asia where it does not have a strong presence, Schaefer said, adding the company could be ready for a purchase soon after it gets outstanding regulatory approvals for Veyance, which are expected this quarter. Asked how Continental would finance a deal, Schaefer said the group had funds of 6 billion euros, of which 2 billion were in cash and 4 billion in undrawn credit lines. "By year-end, the 1.4 billion euros for Veyance will come out of that. But don't forget that the fourth quarter is always the cash-strongest for us," Schaefer said. He said there was a "good chance" that Continental's free cash flow would reach last year's level of about 1.8 billion euros this year. "That's enough to pay for the Veyance transaction." Continental ranks No. 4 on the Automotive News Europe list of the top 100 global suppliers with worldwide original-equipment automotive parts sales of $33.5 billion in 2013.